This year's conference was hosted by Charlie Calhoun, K5TTT, Tommy Henderson, WD5AGO, Joe Lynch, N6CL and several others. They worked hard to create a conference rich with interesting presentations, fun activities, and great fellowship. registered for the conference and 185 attended the banquet. The linked pages above contain many picture images. Most of them have larger JPEG images hotlinked to each of the displayed images. Photos supplied by W5UWB, WA5VJB, W9FZ and others. 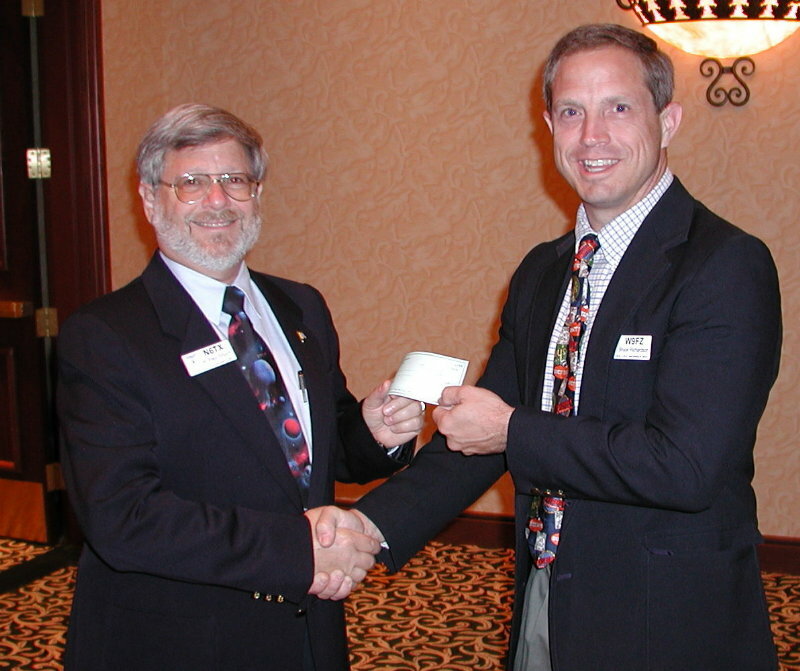 Central States VHF Society was able to show support for three worthy causes this year: ARRL Defense of Frequencies, AMSAT, and The SETI League. 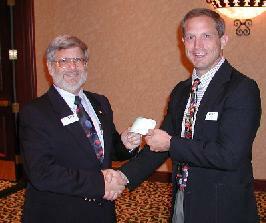 Here (on the left), Paul Shuch N6TX, receives a donation on behalf of the SETI League.